This is a small bug fix release to fix $location related bugs. Today we are announcing the 1.0 release of AngularJS. We’d like to thank our early adopters, and we’re excited to share it with you who haven’t yet experienced it. Our goal with AngularJS is to eliminate the guesswork in creating web app structure and take the pain and the boilerplate out of web client apps. We think we’re there and we’d love for you to take a look. HTML as the template. You, your browser, your editors and your other tools already know all about working with HTML. Why introduce something else? AngularJS lets you expand HTML’s vocabulary with your own app-specific elements, attributes, and class-types that are fully compatible with the HTML specification. Reusable components -- in HTML! AngularJS gives you the power to extend HTML’s syntax with your own elements, attributes that adds behavior or transforms the DOM. Want to write<tab>, <calendar>, or <colorpicker> instead of <div><div><div>...? Want to attach keyboard shortcuts to any element by adding an attribute like key=’ctrl-s’? You miss the <blink> tag? All these things and more are possible. Views and Routes. AngularJS lets you switch sub-views in your app with a simple route configuration. And you get URL deep-linking for free. Tests and Testability. Shipping apps means testing them. We provide common mocks, we take full advantage of dependency injection, and we encourage MVC structure making it easy to test behavior separate from view. It also comes with an end-to-end scenario runner which eliminates test flakiness by having the runner truly understand application state. Come and check out our many examples, tutorials, videos and our API docs at angularjs.org. And we’d love to hear your thoughts and questions on Google+ or on our mailing list. Miško Hevery is a software engineer on the AngularJS team in Mountain View, CA. Miško focuses on imagining a future where web development is actually simple. When many of you learn about AngularJS and that it's being baked at Google, the first question that everyone has is: "Which products is Google developing with AngularJS?". Our answer to this question has been, "It's killing us, but we can't tell you just yet.". 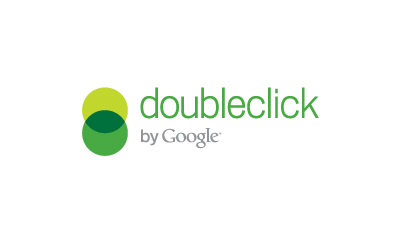 That changed last week when the revamp of the DoubleClick platform was announced last week! That's right. The DoubleClick team chose AngularJS as their client-side technology for the massive rewrite of their entire stack. The DoubleClick Digital Marketing Manager and other pieces of the platform are happily data-bound and dependency-injected with AngularJS. The DoubleClick apps are by far the biggest AngularJS apps that we've seen in production and the input and feedback that the DoubleClick team has provided us over the past 1.5 years long journey has made Angular significantly better. Thank you guys! This small release primarily fixes a regression that was introduced in 1.0.0rc11. The last planned RC with all the promised changes is here! This was done to make the naming consistent with $location events and also get events to categorize and order nicely just by alphabetical sorting. The template options in $route definition now represents the actual template string. To provide the template url use templateUrl option instead. This was done to unify the directive and $route definitions.